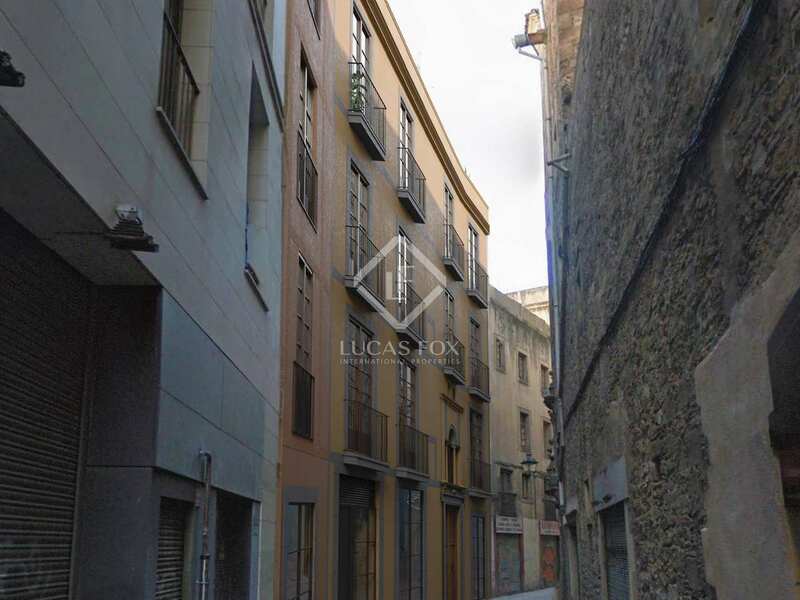 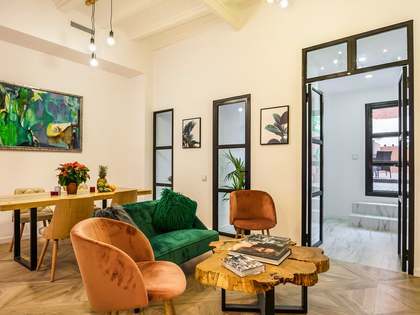 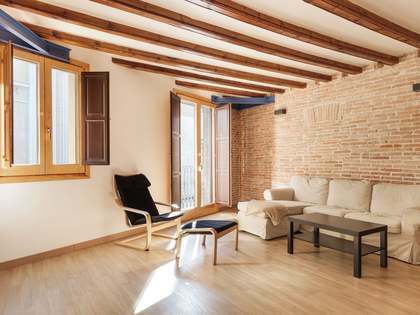 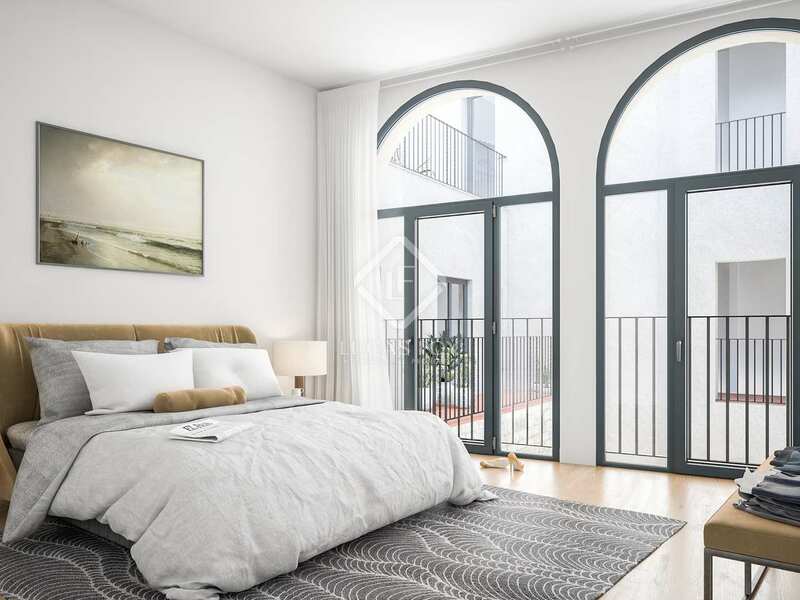 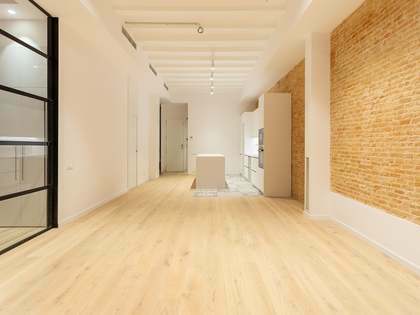 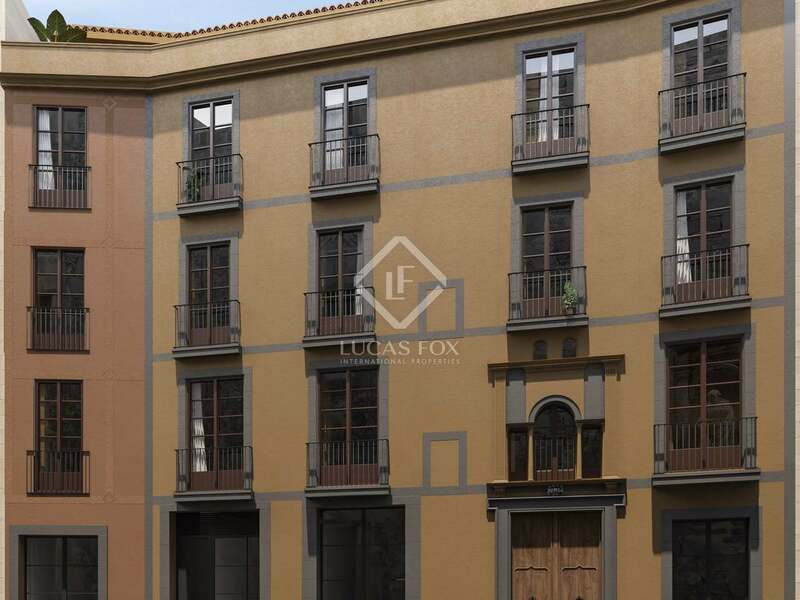 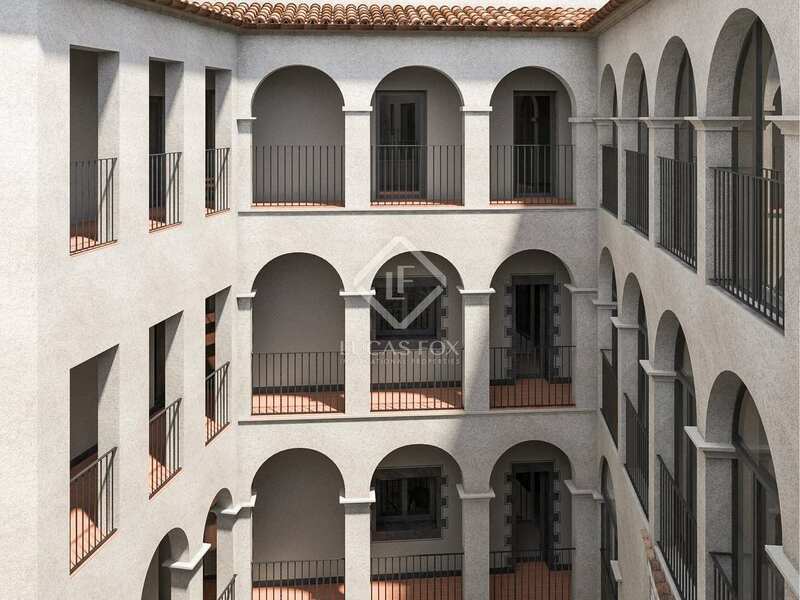 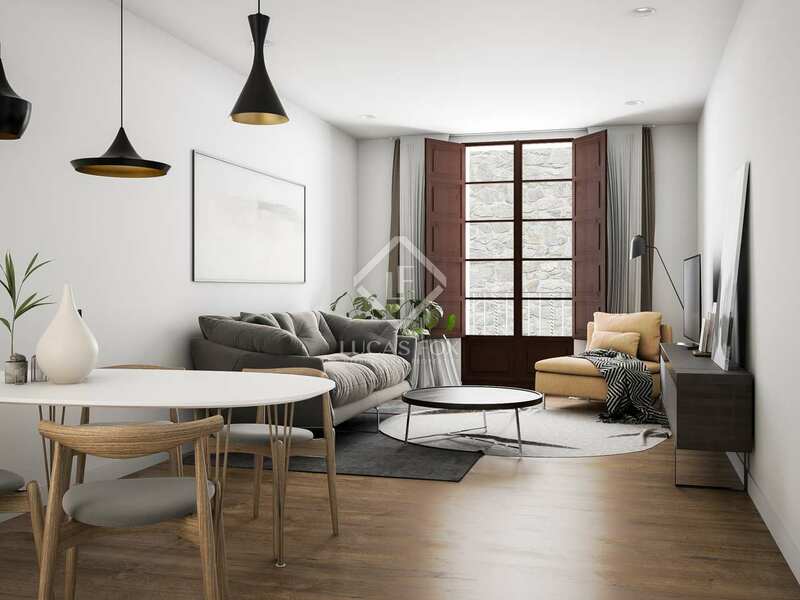 Modern apartment for sale in a renovated 15th century building in Barcelona's Old Town. This charming city centre apartment is part of La Palla Apartments, a new development in a very special building, dating back to 1412. 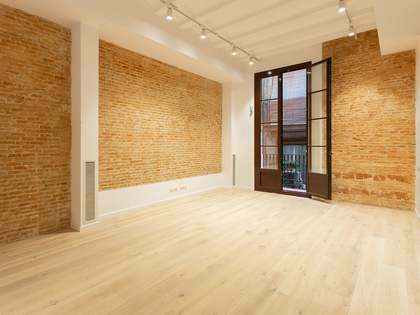 The building is very well located in Barcelona's Old Town, near the cathedral and the church of Sant Felip Neri. 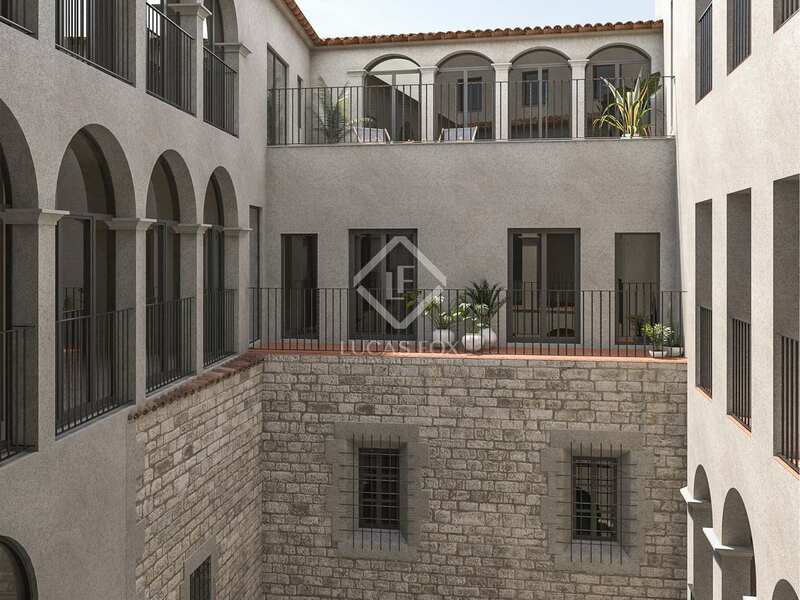 The listed façade has been maintained and inside it houses a cloister with arches and a small chapel. Having undergone full renovation the building now offers this stunning third floor apartment measuring 85m². 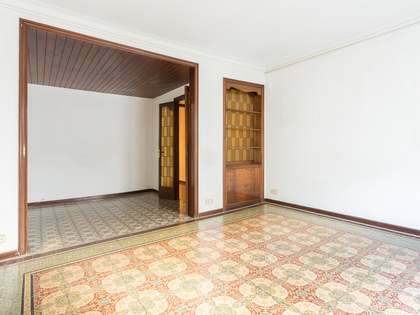 We enter the apartment directly into the living room with the open kitchen-diner. 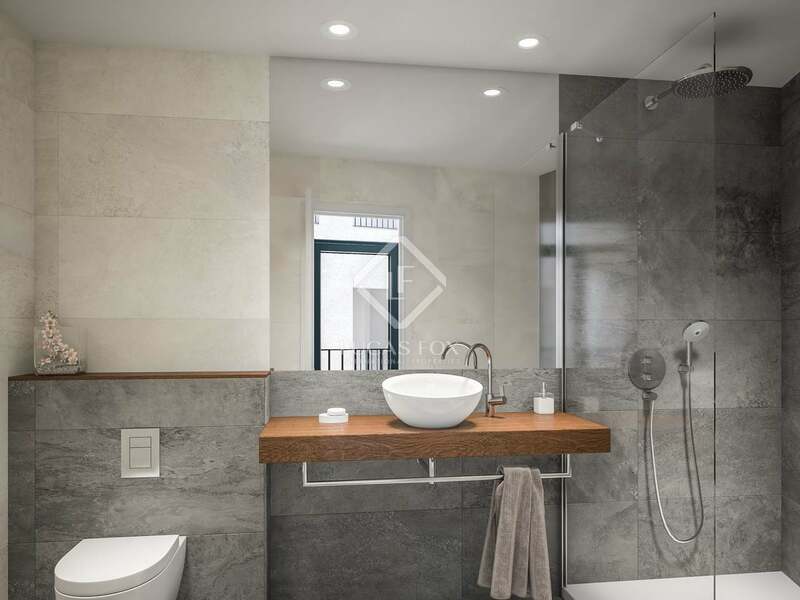 A corridor to the right leads to the first bathroom, a double bedroom and the master bedroom with a double bed and en-suite bathroom. 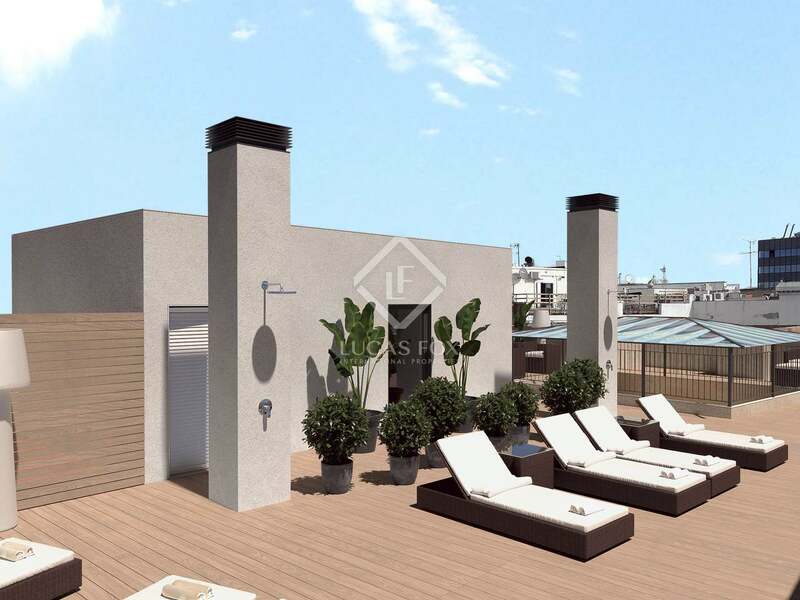 Each apartment has access to a communal area on the rooftop; ideal to enjoy relax and enjoy the excellent climate. 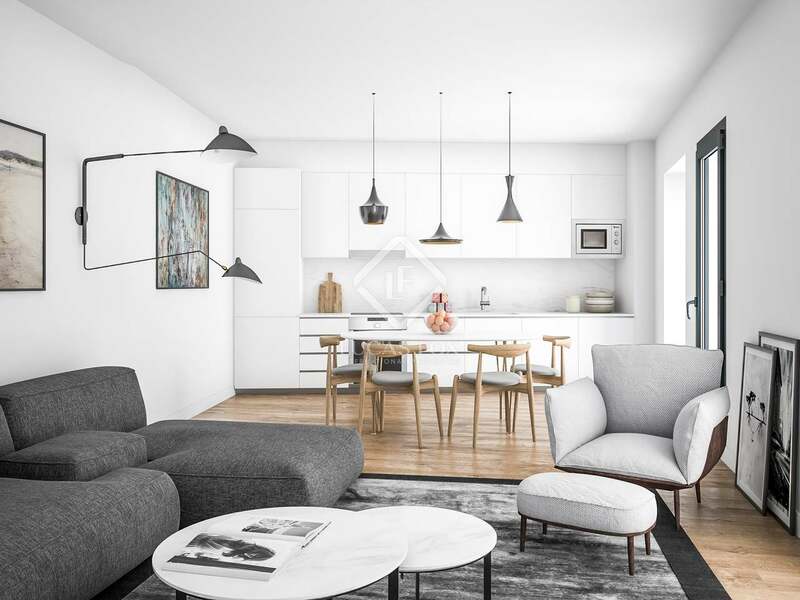 With welcoming spaces and natural light, the apartment is bright and modern with charming original features. The property boasts Porcelanosa flooring with underfloor heating, a Mitsubishi air-conditioning system, ceramic brick walls with thermoacoustic insulation and LED lighting. 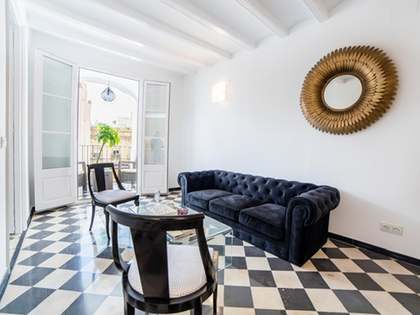 Contact us to find out more about this exclusive home for sale in Barcelona's beautiful old town.